The Planet Wise designer changing pad is a great compliment to any of our wet bags or wet/dry bags. Made from the same great fabrics, this changing pad isn't just beautiful it is functional too. 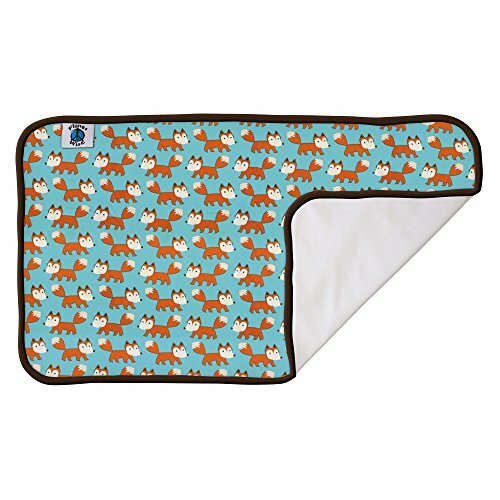 It is made from super soft no-pill fleece to lay your baby on and a hidden layer of PUL making this changing pad waterproof, and then topped with one of our great prints. It is thin enough to fold up to fit in any bag or purse. If you have any questions about this product by Planet Wise, contact us by completing and submitting the form below. If you are looking for a specif part number, please include it with your message.